Halloween is getting close, but it's not too late to buy fun Halloween goods! So I found a few that I love. Witchy Feet by Appledonia. I'm thinking we might own this soon. It's too cute to pass up! Candy Corn bracelet by cherriesrockmysocks. Candy Corn. In a bracelet. Around your wrist. TOO fun!! Candy Corn lip balm by CozyMoments. All the flavor, none of the calories. It's a good thing. Halloween pendant by lmld. I like that it's fun and seasonal but the lampwork beads make it not too silly. A grown up lady could still wear this to the office. 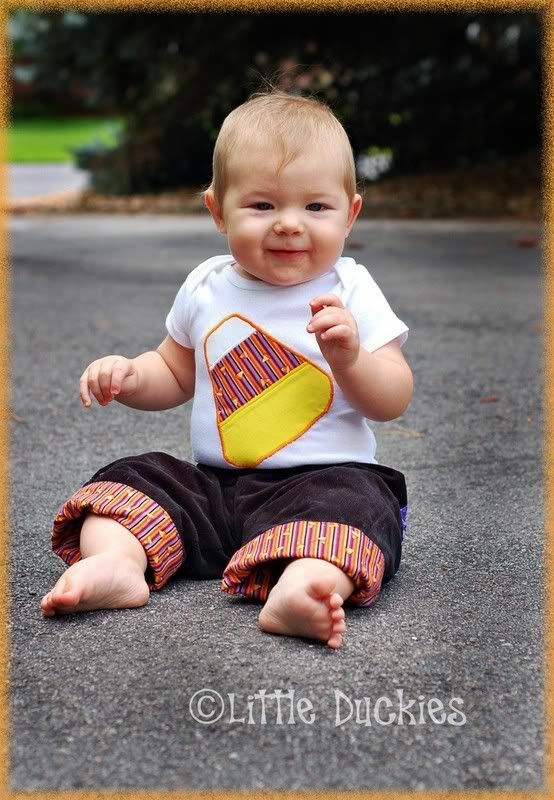 For the wee ones, this Candy Corn outfit by littleduckies is perfect! 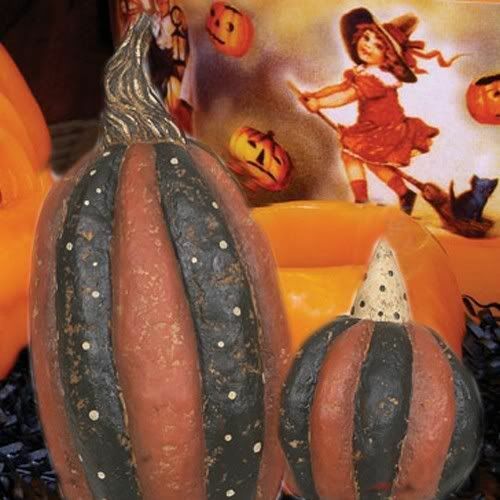 And finally a little Fall home decor with these paper mache pumpkins by ShabbyAddict. Leave these out all the way through Thanksgiving! I LOVE these! Gosh, I love Fall. Run kids! She has RESIN! OH I love the candy corn bracelet!! The Candy Corn Treasury right on your blog! I love the bracelet. yes. the bracelet. too clever. i'm suddenly reminded of how much i used to like candy corn. The Cozy Moments lip balm looks so yummy! 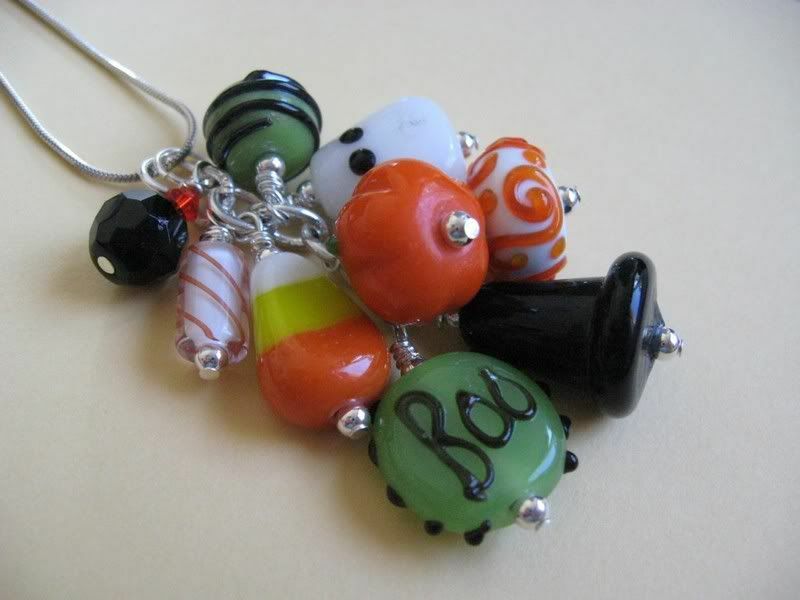 I also really like the Halloween Pendant necklace~I agree the lampwork beads make the necklace! I love it all but especially the pendant. oh my goodness! 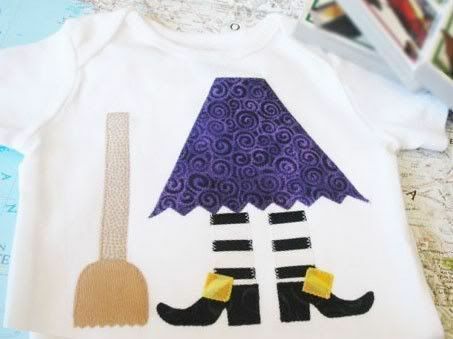 these are all WAY too cute!!! love the candy corn bracelet! 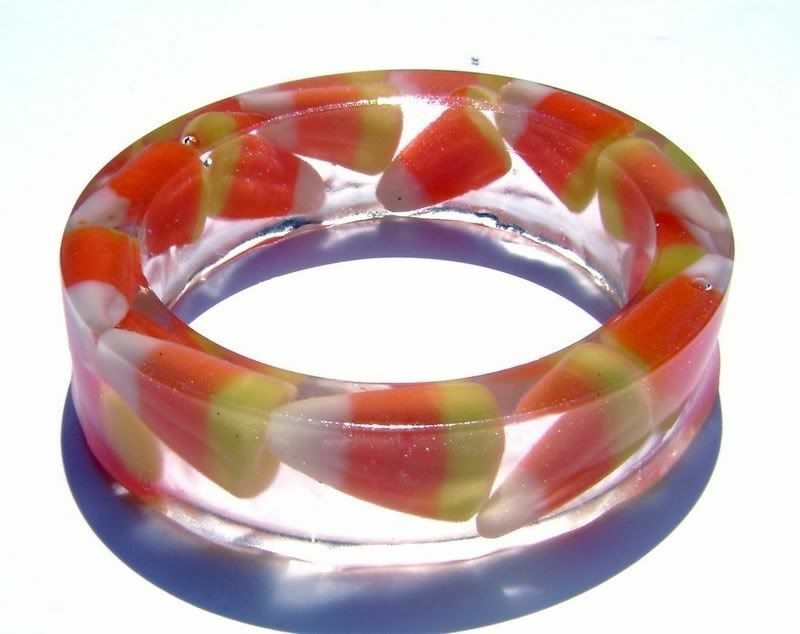 I love the bangle, though I haven't had candy corn before but they sound yummy! Oh I really need to do this on my blog!! These things are just darling!! !